A couple years back I posted a short bit on how to register photo copyright with the U.S. government. That turned out to be the last time I filled out a registration with pen and paper. For all subsequent submissions I’ve used the new ECO system at http://www.copyright.gov/eco. Let me disabuse you of any preconception that the online method is easier. You’ll need to clear an hour or two out of your schedule to prepare a submission. The new process involves clicking though an interminable array of confusing steps, filling out an order of magnitude more information than was requested in the paper form, and jockeying awkwardly between upload and payment sites. Fortunately, photo attorney Carolyn Wright has created a set of directions that are clearer than anything the copyright office provides. I won’t duplicate her efforts by explaining how it works, other than to offer the following pointer: compress your images into a series of .zip files before you begin. How many files you’ll need will depend on the speed of your internet connection, as ECO logs you out after an hour. As with the old system, you can register an unlimited number of images in a single batch and a single fee. Despite the hassle, I find online registration worthwhile. For one, it’s ten bucks cheaper. And more importantly, the turnaround time is several months faster than paper submission. So if you need your reg numbers quickly, ECO is really your only option. 15 points to the first person who can identify it. 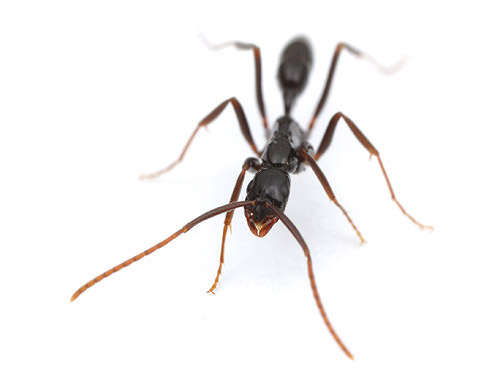 This morning I had to deny a scientist permission to use my photos of her ants in a paper headed for PLoS Biology. I hate doing that. Especially when I took those photos in part to help her to promote her research. The problem is that PLoS content is managed under a Creative Commons (=CC) licensing scheme. I don’t do CC. Overall it’s not a bad licensing scheme, but for one sticking point: CC allows users to re-distribute an image to external parties. In an ideal world, non-profit users would faithfully tack on the CC license and the attribution to the photographer, as required by the CC license, and then the downstream users of those projects would faithfully continue to do the same. Last week I performed my semi-annual copyright registration ritual, and in the middle of the paperwork it occurred to me that this might make an absolutely scintillating blog post. So, here’s why copyright registration is important, and here’s how to do it. U.S. law is generous towards photographers. Photographs are automatically copyrighted as soon as they are taken. It doesn’t matter if you’re taking happy snaps of your pet cat or professionally shooting a Hollywood premiere- you have the copyright. What does having a copyright do for you? Not very much, it turns out. If you’d like that copyright to carry legal weight then it needs to have the extra step taken of registering it with the government. I’ve never taken anyone to court over copyright infringement (and I blanche at the thought, to be honest), but I have had several instances where being able to show the reg number to unscrupulous photo “borrowers” helped bring about speedy resolution and fair payment. I routinely register my copyright, and it’s surprisingly easy. One form and one fee can cover thousands of photographs. The Short Form VA, available from www.copyright.gov. 2 blank CD-Rs, preferably high-quality archival grade. I keep a folder on my computer labelled “copyright”. Whenever I process a new batch of photographs I save small, 600 pixel-width jpgs of each image to the copyright folder. I use 600 pixel-width because I’ve already made them up for www.myrmecos.net, but the exact size isn’t too important. They just have to be large enough to be recognizable and small enough so that many can fit onto a CD. If you’ve got lots of images to process, photoshop can automate them in batches. It takes less time than it took me to write this post. A few months later the bureaucratic cogs turn over and I get my form back with the all-important registration number. Now I can sue the pants off infringers sleep soundly. For all the gritty details, see The Photo Attorney. People occasionally ask why I don’t assign my photos a Creative Commons license. Dan Heller explains. And adds a horror story here. The short of it is, while Creative Commons was established with the best of intentions it is easily abused in the photographic setting. Users unknowingly open themselves up to large legal risks, and I find photo licensing by traditional means to be both more secure and more professional.